Do any of these foods sound delicious? Roasted red pepper hummus, Baked falafel salad with tahini lemon dressing, Bulgur with Curcuma, veggies, nuts, and spicy roasted chickpeas, Barley tabbouleh with cucumber and coriander, Homemade Hummus with a side of Whole Wheat Pita Bread. All of the above drizzled with organic olive oil. Thought your mouth might be watering. If you are trying to improve your health and lower the carbon footprint of your diet, Mediterranean food is a very delicious way to do it. Cool Hive Daily - Savory Saturday intends to take you around the culinary world in 2018 and we begin this week in the Middle East. 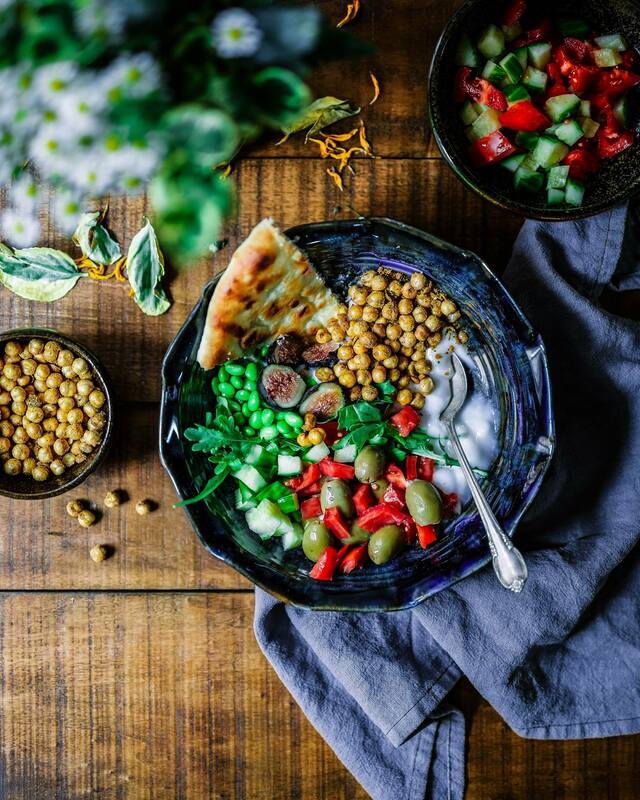 This rich cuisine includes Arab, Iranian/Persian, Israeli, Assyrian, Armenian, Kurdish, Greek, Cypriot, Azerbaijani and Turkish cultures and is loaded with vegetarian treasures. Featuring healthy olives, fruits, nuts, legumes and spices the dishes are packed with complex and satisfying flavor. As the middle east is suffering from political uprising and war often spurred on by the devastating effects of drought and climate change, I think it is important to understand and to celebrate their rich cultural heritage as a manner of preservation. That discovery often begins with food. When was the last time you were at a Syrian restaurant?